Harmony with A.R. 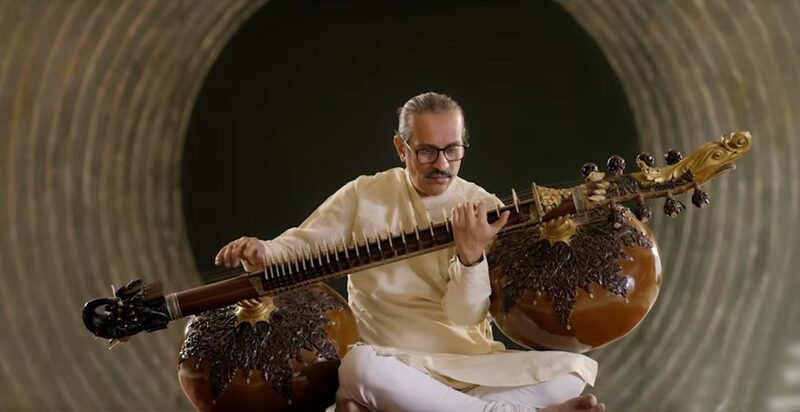 Rahman (directed by Sruti Harihara Subramanian, produced by Kavithalayaa Productions and currently running on Amazon Prime) is the rarest of rare explorations of India's musical heritage in the entertainment space of everyday access and consumption. Conceptualised in the form of musical conversations, A.R. Rahman travels across the country to meet musicians in their home ground, so as to learn about the ethnographic context of the musicians and their music. He, then, has an impromptu jam session with them under open skies, exploring musical imagination and syncopation. The series culminates with an episode in which all the musicians gather in Rahman’s Chennai studio to produce a concert and a recording. While the concept of different musicians jamming on-camera is not new, what distinguishes Rahman's musical conversation is that he takes the journey to find another repertoire, another instrument… why, even another public ingrained in a cultural setting and invites that for a dialogue. The dictum that emerges is that to play music and to converse is not only an exchange of musical ideas, but also an exchange of cultural histories. Watch the trailer of the series here. Perhaps Rahman purposely chose the pop-star costume and fancy electronic musical instruments to jam with his traditional counterparts in the natural settings. The sounds emerging from Rahman's electronic devices are futuristic, even surreal. They are so unreal that they are capable of depths and subtleties beyond the boundaries and the scope of handmade musical instruments. Rahman provides the background and the atmosphere for his partner's music to emerge and capture the listener's attention. In the second episode featuring Ustad Mohi Baha'uddin Dagar, we see that the embodiment of his musical heritage has translated into extraordinary cognitive and reflective abilities. When Dagar describes his early years of coming to terms with his father's music, we listen to a familiar narrative of any youngster growing into his artistic heritage. But his story becomes contemplative and unique when he recalls how his father's Rudra Veena sounded different in his hands and how he understood his father by cleaning and tuning his Veena every day. We are surprised to learn that Dagar has only six students and he teaches only two or three ragas for three years. When Rahman plays the Carnatic Raga Charukesi on his Fingerboard (Haken Continuum), Dagar listens to the fantasy exaggerations Rahman could make with his instrument. In the ensuing conversation, Dagar says it is crucial for him to visualise every raga and it may take many years for him to perfect a single raga. This visual and aural educational dialogue in Dagar's life and music is something stunning the series has managed to capture. In the hilltop concert, Rahman plays to accentuate and highlight Dagar's inward journey. 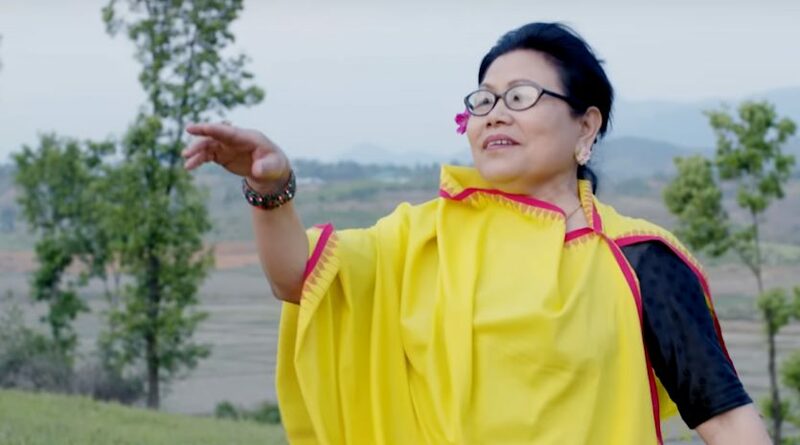 The third episode, starring Manipuri singer Lourembam Bedabati, focuses on the music heritage thriving in community life. The exuberant Bedabati demonstrates her soprano vocal skills from the Khullang Eshai tradition of women singing in the paddy fields. From the shapes of the grass on the water bodies to the distant mountain tops, all things immediate in her surrounding become the themes of her songs, and she instantly contextualises her singing by addressing Rahman in her songs. In the paddy field jam, Rahman tries to ascend on his ATV aFrame electrorganic drums to keep pace with Bedabati's operatic modulations. The syncopation does not go well. What is surprising is that Rahman openly admits to that and says that he would try better the next morning. Later, Bedabati and her students singing and Rahman on the electronic drums achieve a greater harmony. 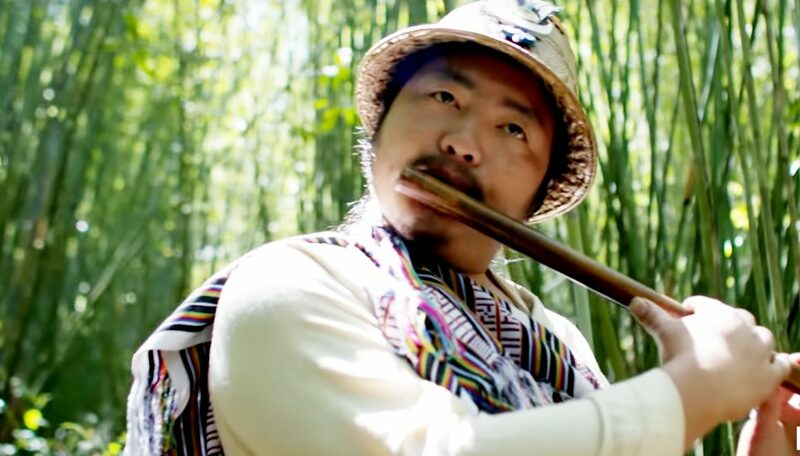 Sikkim's flute player and singer Mickma Tshering Lepcha in the fourth episode is immersed in the mythology and rituals of Lepcha life. Mickma has a small band in Gangtok, and they play for Rahman. We learn about the particular type of bamboo used to make flutes, and ritualistic importance of flute playing in Lepcha life. During yet another musical conversation in the jungle, Rahman plays seaboard to Mickma's mellifluous flute (Picture 4). Apart from the apparent diversity of the musicians and their cultural backgrounds, the success of the series flourishes on portraying the multiple ways music embodies knowledge, cultural expressions, cognitive skills and methods of making sense of the world. Rahman is down to earth, perceptive, warm in his interactions and thoughtful in his observations. At the beginning of the series, he says somewhere that one's belief is what makes beauty come alive and he consistently strives to bring that out in other people too. The finale of the series—titled 'Heart is in Ecstasy'—is a studio concert bringing all the four musicians into orchestral music. Listening to Rahman's attempts at harmonising diverse musical traditions in the studio concert and watching the glittering artificiality of the studio, one longs for the natural settings of the episodes. And also for Season 2! Views expressed are personal. The Web series, Harmony with A.R. Rahman, was released on August 15, 2018, on Amazon Prime.